The Medical Hair Loss Therapies Training was specifically designed for physicians looking to incorporate these new technologies and combination therapies into their practice. Medical Treatment Options, Mechanical Solutions, and Integrative Medicine Approach for Alopecia in Men and Women. Hair Restoration Training - Hair Loss Therapies course was specifically designed for physicians looking to incorporate these new technologies and combination therapies into their practice. The advancements and newer technologies, injection therapy procedures, and combination drug therapies allow for regrowth of hair without the need in many cases for hair transplants, grafts, or surgery. Men and women are equally affected by hair loss and thinning hair throughout their lifetimes and even though we have been told it is hereditary, hair loss can be corrected or reversed. Hair loss statistics are overwhelming as it affects 40 million males and over 25 million women in the United States. Non-surgical options for hair restoration and hair loss therapies will expand as industry growth will be driven by improving disposable incomes, an aging population through 2025, and an increased emphasis on outward appearance. There is a (4) out of (7) chance in men in receiving the baldness gene and (1) out of (4) women will suffer from lost and thinning hair. So how important is hair to our society? Overall medical (non-surgical) hair loss treatments represent a very large percentage of the market but are very fragmented with small private practices. Annual revenue exceeds $3.5B and is expected to grow 5.7% each year through 2025. Empire Hair Restoration Training - Hair Loss Therapies Training will educate you in the combination prescription therapies (minoxidil, finasteride, Alpha II – 5 reductase inhibitors) as well as the latest mechanical treatments (PRP, LLT, ACell) and naturopathic solutions being used together today. Heredity is blamed for the majority of hair loss and thinning hair, though this is true it does not mean that hair loss and shedding cannot be reversed or stopped. It only means that their parents also exhibited these same biochemistry variances causing antogenic or other types of alopecia. Hair Restoration Training - Hair Loss Therapies course will encompass all aspects needed to gain a full understanding of the pathophysiology for hair growth and hair loss, the most common causes, as well as other less common causes for hair loss and hair thinning. The latest scientific data is presented such as gene expression, stem cell markers/receptors, hormonal considerations, growth factors, and other data to provide evidenced based information concerning the therapeutic, mechanical, and supplement options that can be used in combination treatments. 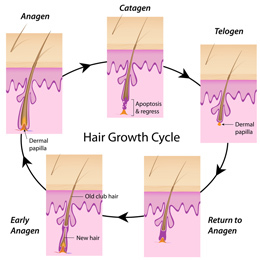 Differences between men and women are discussed extensively since the approach for each are different where there are hormonal factors, interaction with certain drugs, and other health issues affecting thinning hair and shedding. The bottom line is that hair loss is multi-factorial and combination treatments should always be considered and in determining the pathways for treatment. Interested in even more advanced training? Empire offers a 1-Day preceptorship with world renowned Hair Transplant surgeon in Boca Raton, Florida. Don’t miss our next event coming up. Other technologies discussed are the new hair check system which allows for physicians to create a base-line for hair, make recommendations, measure regrowth of hair, and allow for early diagnosis of hair loss detecting thinning of hair 10-15 years prior. This is important since 50% of your hair is typically lost before it’s visible to most patients. There will be “hands-on” training with the hair check system at the program as well as an all-in-one hair loss system presented to attendees. In addition, you will receive the “pearls” associated with hair loss and regrowth including the need for early diagnosis, overall health considerations, need for testing (women), and other considerations for most successful outcomes. Hair loss and hair thinning is very complex and all of the science is still not fully understood, compared to only a few years ago your patients have a much better chance of reversing hair loss and hair thinning. 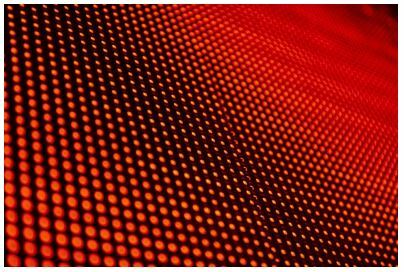 The capital expenditures needed to offer these various modalities and procedures is relatively inexpensive and there are many other uses for the technologies. As with all Empire Medical Training programs, the Hair Restoration Training - Hair Loss Therapies training includes a complete manual, patient in-take forms, white papers, videos, and marketing materials needed to successfully integrate these new procedures. You will also have access to our new resource section to our website that will also update you with other latest information useful to incorporate these medical hair loss therapies. Learn scalp and hair anatomy, hair loss etiologies and be able to identify the various types of alopecia including Androgenic Alopecia (Male Patterned Baldness (MPB), Female Pattern Hair Loss (FPHL), Alopecia Areata, Telogen Effluvium, and Traction Alopecia. Provide additional consultation and evaluation including review of medications, medical screening, hormonal factors, and physical findings of the scalp. Gain a full understanding of the etiology as it relates to the available, effective treatment options including those related to medical conditions (disease), medications, hormonal, and genetic. Learn the differences between male and female alopecias and other types of underlying possible causes for hair loss in women (i.e. PCOS). Learn the principles and gain a working knowledge of medical hair loss therapies including medications (minoxidil, finasteride, dutasteride), hormone blockers (spinolactone, cypoterone acetate), natural supplements, injectable therapies (PRP, ACell), and various light based energy devices (LLT, Red Light Therapies). Learn other technologies being utilized including the new Hair Check System. Additional Pathways for certification and professional enrichment are presented and discussed. Gain the necessary knowledge to implement these new procedures. Included with the course you will receive all medical intake forms, administrative forms, informed consents, protocols (incl. diagnostic testing), as well as the marketing tools to promote and market these hair loss therapies. As with all of the courses offered by Empire Medical Training, we wish for you to be successful not only in performing these new procedures but integrating these procedures and become financially successful with these new skills. For those physicians wishing to do so, additional preceptorship training is made available as an option. 8:30am–9:00am • Instructor Introduction Overview, current applications and newest advancements, various stratagems concerning hair loss for men and women. 11:30am–12:00pm • Medical and Relative Contraindications, Adverse Events, and treatment protocols for men including combination therapies; PRP, Red Light, Prescriptions etc. 1:00pm—2:00pm • Female Pattern Baldness, Review of Hormones (Endocrine System), Stress and immune function; Alopecia Areata, Trichotillomania, Telogen Effluvium, Androgenic Alopecia (AGA). PCOS patient diagnosis and treatment options. Review of Systems and Protocols (decision matrix) for new patients. Suggested Clinical Testing for female alopecia and interpretation of results including simple natural and hormonal options. 2:15pm–3:00pm • Review of various treatment options with female patients, Red Light, Drug Therapies, 5-Alpha Reductase Inhibitors, Hormones, and Supplements. 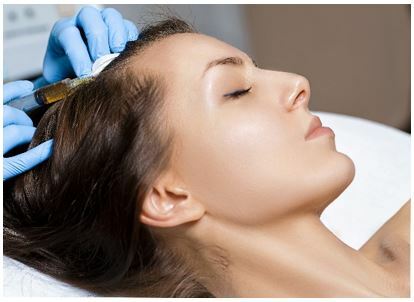 The use of Platelet Rich Plasma for alopecia; specific injection techniques, concentration, volume, and inclusion of other growth factors commercially available. 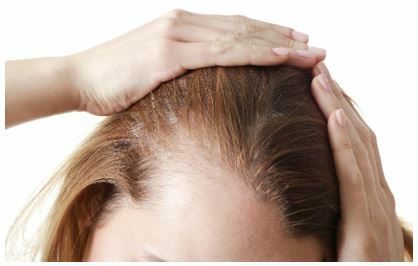 Specific protocols for Alopecia with PRP, Other uses of PRP, Anesthesia Options including Occipital Blocks, and complete care post treatment for patients. Patient consultations and setting realistic expectations for patients. 3:00pm–6:00pm • Hands-On Sessions. Small group breakout sessions with live volunteer patients. Attendees will be required to administer PRP and show proficiency in review of the treatment including injection technique and administration. Empire Medical Training has partnered with The Bauman Medical Group, (world renowned Physician Hair Transplant Surgeon and Specialists) to offer additional pathways for training. In addition to workshops, physicians can enroll in our 1-Day and 3-Day preceptorship training . These courses offer additional training in the diagnostic, therapeutic and follow-up post procedure considerations in integrating these highly profitable procedures within you practice. In addition to the training and manuals you will receive all the administrative aspects including the promotion of these new procedures within your practice including retail, pharmacologic options, and ongoing support for patients and your practice. The 1-Day training will give turn-key solutions for hair loss and restoration management and is geared for all professionals including your staff. Special discounts are given to additional staff members and you will receive a retail “Starter Kit” valued at $2,000 for the primary attendee. The 3-Day training is more advanced and utilizes the latest technologies available in the management and treatment of the various alopecia conditions. The course is structured more as a preceptorship training in which you will be able to shadow the doctors during this period of time as they perform the various restoration procedures including FUE Neograft, ARTAS Robotic-Assisted Procedures as well as eyelash, eyebrow and facial hair transplants. Participants will also learn how to identify, evaluate, track and manage different symptomatic scalp conditions. The 3-Day training includes all of the information of the 1-Day training and Each Primary Attendee will also receive one (1) Starter Kit containing a HairCheck Kit+ Trichology Diagnostic Tools+ Product Samples+ Point-of-Sale Marketing Materials (valued at $11,550). Full access to all materials plus breakfast and hot lunch provided for ALL attendees during ALL 3 Days. Connect, collaborate and network with other practices that have implemented this successful program and maximize and unlock the potential of additional revenues associated with the Medical Hair Loss and Restoration services as well as enhanced patient care in the treatment of alopecia. If you are looking to take the quantum leap to hair restoration expert status take a look at our new 2018 Preceptorship Training. Empire is partnering with the globally respected hair restoration authority Alan Bauman, MD of The Bauman Medical Group to offer physicians and their staff the latest training to unleash the potential of additional revenues associated with Medical Hair Loss and Restoration services, and enhanced patient care services in the treatment of Alopecia. Dr. Bauman has achieved celebrity status as the go-to expert by his peers here in the US and worldwide for helping those affected by debilitating hair loss. Dr. Bauman is certified by the American and International Board of Hair Restoration Surgery, a coveted distinction limited to fewer than 100 physicians in the US. Empire Medical Training, in partnership with The Bauman Medical Group, now provides physicians with three additional pathways for training to help integrate the highly profitable combination of diagnostics, therapeutics, and follow-up procedures with the Empire Medical Training 1-Day and 3-Day preceptorship training program, and an Individual Preceptorship Program. 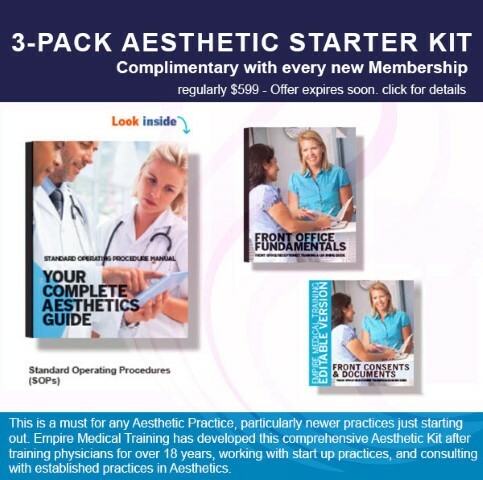 In addition to the training and manuals physician participants receive supportive administrative materials, including promotional and patient communications. The 1-Day training program provides turnkey solutions for hair loss and restoration management. It is geared for all professionals, including office staff. This option includes a retail Starter Kit valued at $2,000 for each Primary Attendee. The fee for this training is $6,000. Discounted rates for additional staff attendees are available, please call for information. (does not include a Starter Kit). The 3-Day training is more advanced and covers the latest technologies available in the management and treatment of the various alopecia conditions. The course is a structured preceptorship training. Participants will be provided with an opportunity to shadow the doctors during this period of time as they perform the various restoration procedures, including FUE Neograft, ARTAS Robotic-Assisted Procedures, eyelash, eyebrow and facial hair transplants. Participants will also learn how to identify, evaluate, track and manage different symptomatic scalp conditions. The 3-Day training includes all of the components of the 1-Day training and each Primary Attendee will also receive one (1) Starter Kit containing a HairCheck Kit+ Trichology Diagnostic Tools+ Product Samples+ Point-of-Sale Marketing Materials (valued at $11,550), full access to all materials, and breakfast and hot lunch is provided for all attendees during all three days. The 3-Day programs offers participants a great forum to connect, collaborate and network with other physicians and office staff who have implemented this successful program to maximize and unlock the potential of additional revenues associated with the Medical Hair Loss and Restoration services, as well as enhanced patient care in the treatment of alopecia. Gain an understanding of the BaumanPRP protocols with a patient. Gain an understanding of the HairCheck 'how-to' protocols with a patient. Introduction and direct exposure to other hair restoration and transplantation services including FUE Neograft, ARTAS Robotic-Assisted Procedures including other types of treatments; eyelash, eyebrow and facial hair transplantation procedures. Introduction to hair & scalp CNC cranial prosthesis for patients who are not candidates for hair transplants. Individual training is provided at Bauman Medical in Boca Raton, Florida. The fee, based on per day, per physician, is $10,000. Hands-On Training: Unlike some seminars, our programs are not demonstration only. In fact, attendees are expected and required to perform procedures under the direct supervision of a qualified physician instructor in order to receive their certification. The afternoon session is reserved for intensive hands on training, where our instructors will be carefully monitoring your technique and style of injecting to help improve on your skills.